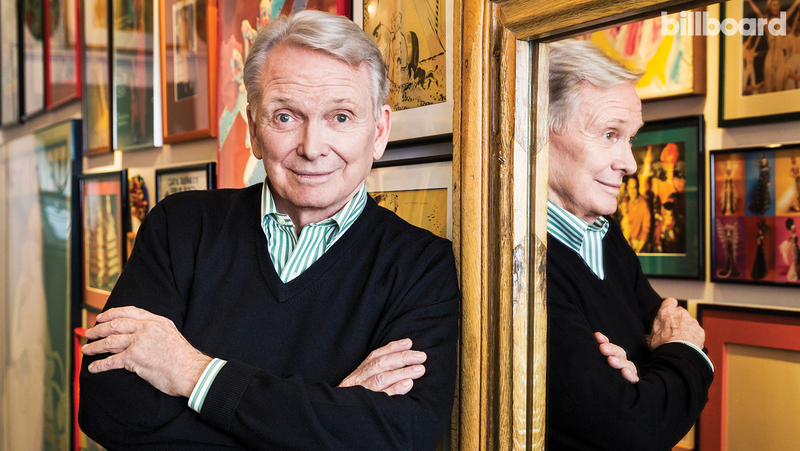 Bob Mackie was born today, March 24, in 1939. He is an American fashion designer and costumer, best known for his dressing of entertainment icons such as Joan Rivers, Cher, RuPaul, Barbara Eden, Bette Midler, Diana Ross, Judy Garland, Liza Minnelli, Tina Turner, Carol Burnett and Mitzi Gaynor. He was the costume designer for Carol Burnett on The Carol Burnett Show during its entire 11-year run and designed the costumes for its spinoff, Mama's Family. 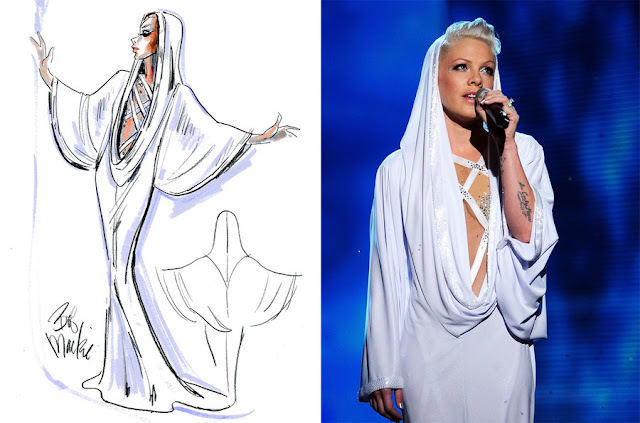 During the 2010 Grammy Awards, Pink sang "Glitter In The Air" wearing a perfectly tailored hooded Mackie gown with a sparkling body suit beneath it that mesmerized when she began the aerial portion of her performance. Mackie began his career as a sketch artist for legendary French haute couturier Jean Louis, who is perhaps best known for crafting stage gowns worn by screen legend Marlene Dietrich during her career as a cabaret singer. Mackie and future life partner Ray Aghayan worked with legendary costumer Edith Head in 1961 while working as a novice designer at Paramount Studios. In 1969, Mackie was hired to design costumes for Diana Ross, The Supremes, and The Temptations in a television special. In 1972, he and Aghayan were nominated for Best Costume Design for Lady Sings The Blues, starring Diana Ross. Mackie and Diana Ross continued their collaborative efforts well into the 21st century, with Mackie designing stage costumes for Ross' 2010 "More Today Than Yesterday" tour. Mackie designed costumes for the Las Vegas Strip-based burlesque shows, Hallelujah Hollywood, which was inspired by the Ziegfeld Follies and ran at the MGM Grand (now Bally's Las Vegas) from 1974 to 1980, and Jubilee!, which ran from 1981 to 2016. Both productions involve intricate, elaborate costumes and grandiose sets. Images of many of Mackie’s design drawings for these productions are available in the "Showgirls" collection from UNLV Libraries Digital Collections. Mackie also created the costumes for Cher’s 2008–11 Las Vegas Cher at the Colosseum residency at Caesars Palace, as well as for her 2017 “Classic Cher” shows in Las Vegas and Washington D.C.
Two of Mackie's best-remembered creations had a humorous aspect. 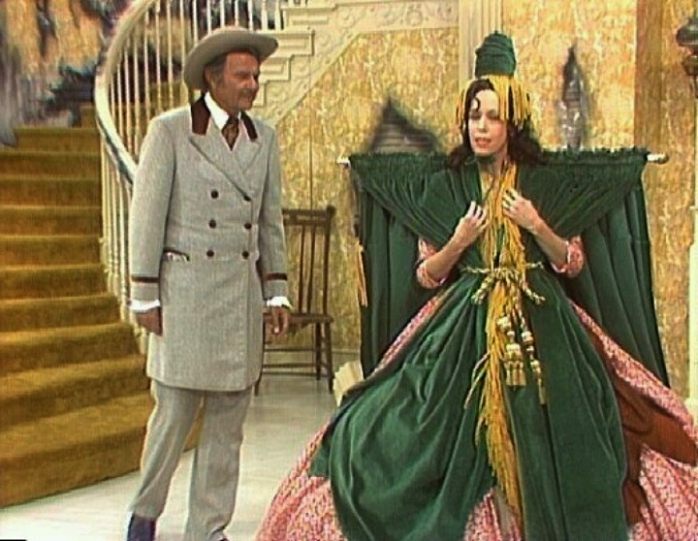 While working on The Carol Burnett Show, he designed a "curtain dress" (complete with a curtain rod across the shoulders) that Carol Burnett wore in "Went with the Wind!," a parody of Gone with the Wind. He designed the exotic ensemble worn by Cher at the March 1986 Academy Awards: black stretch pants, a bejeweled loincloth, knee-high boots, a black chainlink top, and a huge feathered Mohawk headdress that was one and a half times taller than her head. Introduced by Jane Fonda with the words, "Wait'll you see what's gonna come out here." "As you can see," said Cher, "I did receive my Academy booklet on how to dress like a serious actress." Mackie designed costumes for Whitney Houston, especially splashy evening gowns which she wore for many years during concert tours and award shows. He was often referred to as "the sultan of sequins" or "the rajah of rhinestones," known for his sparkling and imaginative costume designs. He has won nine Emmy Awards for his designs, and has been nominated three times for an Academy Award. Mackie has said, "A woman who wears my clothes is not afraid to be noticed." In 1981, Mackie guest starred as himself on two episodes of the television series The Love Boat. In episode 18 of season 5 of The Simpson's ("Burns' Heir"), Bart Simpson offers Milhouse Van Houten the blazer he is wearing, stating it is a "Bob Mackie original". Milhouse responds "Wow! A Bob Mackie!" before declining the offer. In 2002, Mackie was inducted into the Television Hall of Fame. On March 14, 1960, Mackie married LuLu Porter, a singer, actress, and later an acting teacher. She had given birth to the couple's only child, a son, Robert Gordon Mackie Jr. (called "Robin Mackie"), the previous year. The couple divorced in 1963. Robin Mackie, a makeup artist, died in 1994 of an AIDS-related illness, predeceasing his parents. Mackie's life partner was costume designer Ray Aghayan, whom Mackie had started working with as an assistant. The two worked together through the 1970s, as well as having separate clients. They remained together until Aghayan's death in 2011. You just totally made my day, the curtain dress, that just cracks me up still! I nearly sprayed my phone with my coffee!